Members of the foundation and beneficiaries after awarding best teachers on Sunday. The organisation pays insurance to local needy communities. Between 1975 to 1984, Aloys Manzi – a Rwandan now living in United Kingdom, was a small boy studying and living in Mushongi village, Base Sector in Rulindo district in Northern Rwanda. After years of living village life, Manzi was lucky to move to the capital Kigali and lived there between 1984 to 1993 – a year before the 1994 genocide against Tutsi. He moved to France for further studies and later UK where he currently runs several social projects. Keeping his home village at heart, Manzi was in 2013, pushed to give back. “I grew up in the area, i wanted to contribute to its development and assist local population to move out of poverty and contribute in building a better future,” Manzi told KT Press in an interview from the UK. 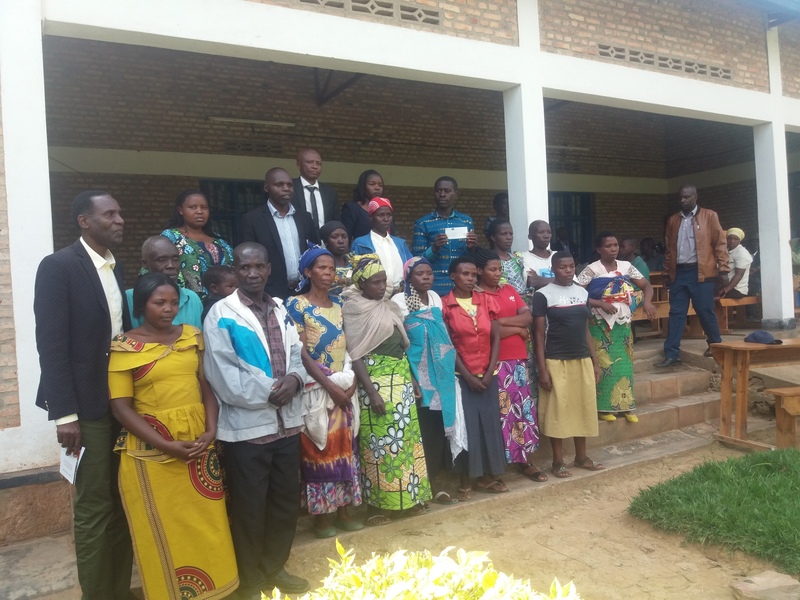 Manzi, through “Manzi Foundation” – his non-profit organisation, has several projects in store for Rulindo district such as empowering young population through education. The organisation has so far deployed Rwf42 million through different projects including “Tunga project” that sponsors local communities in piggery farming. Other philanthropy activities run by the foundation include; paying Health Insurance Scheme to the local community, awarding the most competent teachers and students in several selected schools in the district, among others. On Sunday, January 27, Manzi Foundation representatives were in his home area to hand over cash prizes to the best teachers in the area and paid insurance for 100 families. Akbaru Tuyisenge – a Mathematics teacher in the area was among those awarded cash prize. “I have received an envelop worth my monthly salary. This is a motivation that will increase my passion to even do more,” he told KT Press. 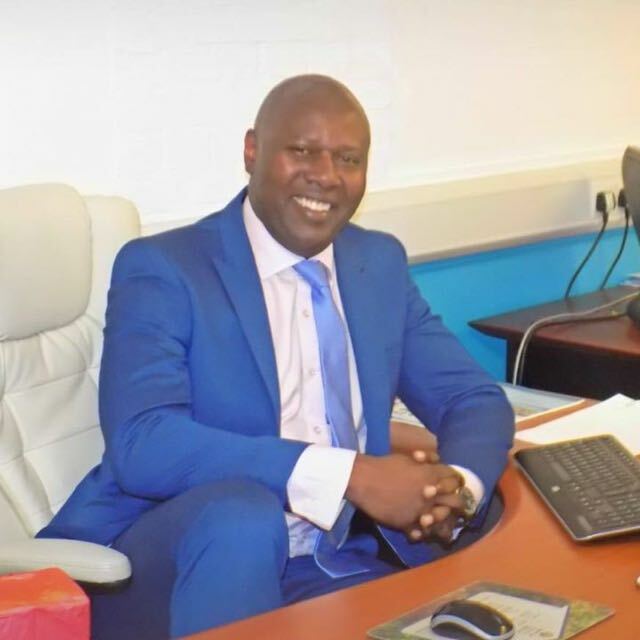 As a Rwandan who obtained top quality education abroad, Manzi told KT Press that his dream is also to connect local schools to those in the UK in order to help improve quality education in his home country. “We want to develop education and bring it at high level using technology in linking local schools to schools in UK, and linking teachers, so they can share knowledge, they can learn from each other and share ideas on identified good practice education provision,” Manzi told KT Press. Despite his foundation’s focus being Base sector, Manzi says his dream is to see all members of Rwandan Diaspora launch similar projects back home. “I am trying to reach out to the members of diaspora across the world including people who come from big cities like Kigali, to look at what we are doing so that they can learn from us and develop similar projects in areas where they grew up,” Manzi told KT Press. Members of Rwandan dispora are estimated to be over 500,000 living around the world. “We will duplicate all successful projects in Rulindo district, then in other areas of Rwanda,” he added. In 2010, the government of Rwanda decided to go beyond its borders mobilising Rwandans in Diaspora to contribute to nation building. Through Rwanda Day, more than 40,000 Rwandans have been mobilised in Europe, US and north America. Since the first Rwanda Day, Central Bank says that remittance receipts have increased from $98.2 million in 2010 to $167.3 million in 2016.